The plague came out of nowhere and ravaged the world. Most died within a week. Nothing could stop it. The world did its best. It wasn’t good enough. The world is on the brink of total collapse. Already devastated by a terrible plague, much of the globe has gone dark. Operating from floating stations known as “havens,” they have maintained a loose network of the largest cities by delivering supplies to the mainland. But their efforts are no longer enough. Cities are falling off the grid and supplies are running low. The world needs leaders to rise up and find the way back from the brink of extinction. That task has fallen to you. You must re-establish supply lines and get the world back on its feet. 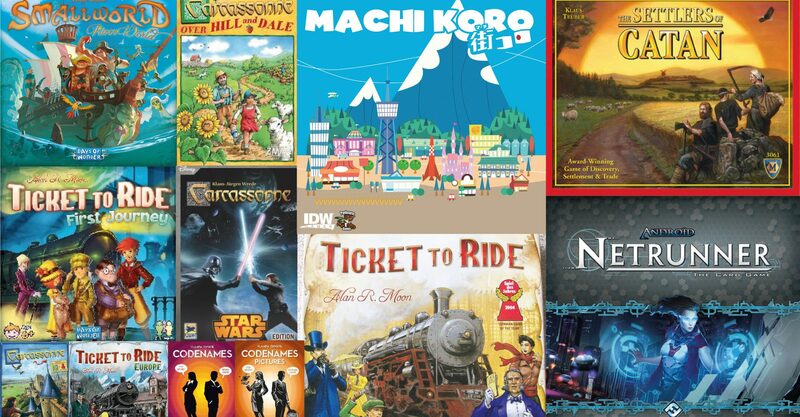 Along the way, the decisions you make affect future games. As you play, you will unlock new components, make new discoveries about your world, and stumble upon secrets that could change the course of history. You must find a way or nobody will. You are humanity’s last chance. Pandemic Legacy: Season 2 is an epic cooperative game for 2 to 4 players. Unlike most other games, this one is working against you. 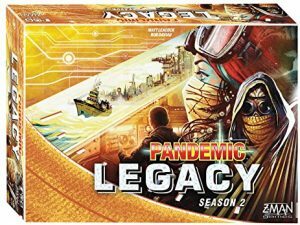 What’s more, some of the actions you take in Pandemic Legacy will carry over to future games. No two worlds will ever be alike! Available here.